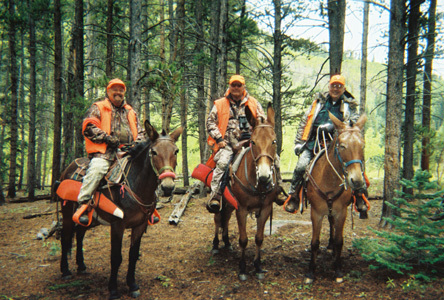 All seven-day packages include five hunting days. All tags are through the draw process. Land Owner tags may be availiable. Maximum limit of 4 hunters per camp. 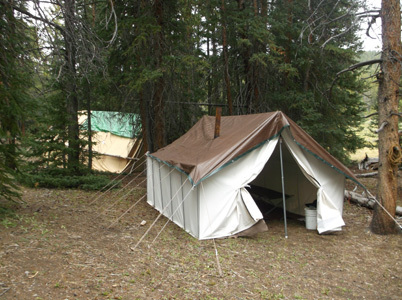 Lodging - Wall tent (12x14). Wood stove or propane for heat. Gas lanterns. Cots with foam pad. Outdoor facilities. No electricity available. Meals - Prepared breakfast, sack lunches, and dinner. Snacks, soft drinks and water provided. Meals at Spike Camp will consist of dehydrated or military ( MRE ) meals and snacks. Base camp is located at the end of the N.F. road or trailhead. Access to spike camp by foot or mules. 200# weight limit on all mule riding. All hunting will be done on foot from both base camp and spike camp. Field care of game, pack and cape the animal to camp. 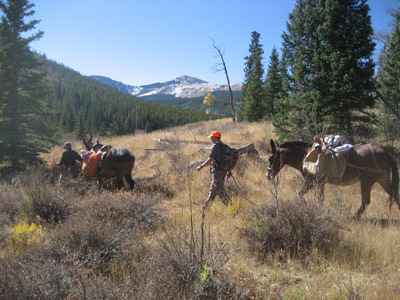 Hunts conducted on approximately 100,000 acres of national forest and designated wilderness area. 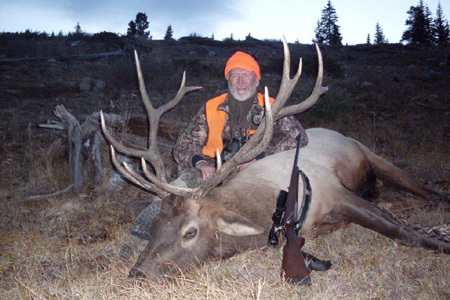 Our hunting country ranges from elevations of 10,000 to 12,000 ft. depending on time of year and species hunted. Being public land, there will be other camps and hunters in the area. If you don't draw your license, we will roll your deposit over to the next year. 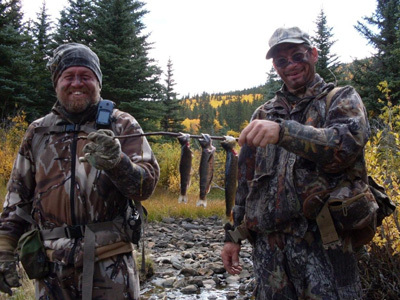 Good physical condition is important as all mountain hunts require hiking 3 to 8 miles per day. 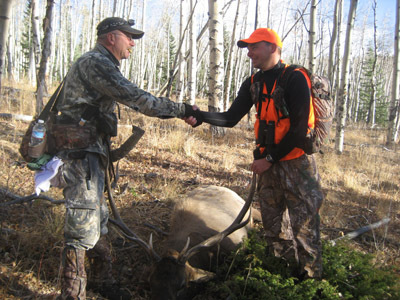 Wounded game is considered a kill and fulfills our contract as a guide/outfitter. We look forward to seeing you in camp! *These prices do not include the sales tax of 3.9% required on the lodging and meals portion. © Tim and Kathy Matschee. All Rights Reserved.